San Antonio, Texas. 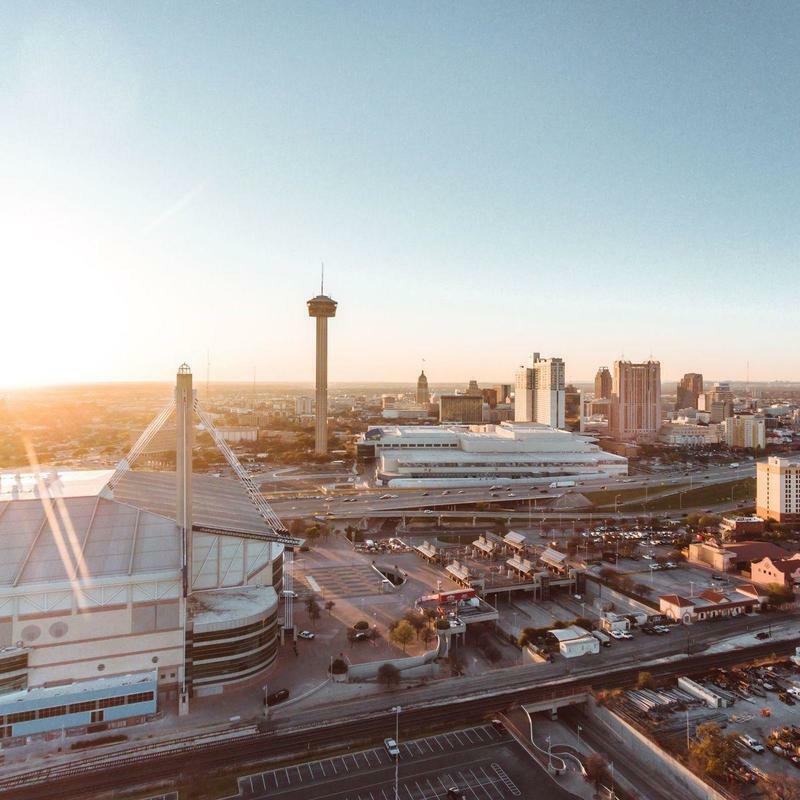 Bet you didn’t know it was the most visited city in the Lone Star State. But when you think about all the festivals, LatinX culture, and American history this town offers, it makes total sense. Instead of calling every bus company in Texas, outsource that job to Bus.com. We’ll access our North America-wide network of suppliers to find the best bus for your trip. It doesn’t matter if you’re booking a San Antonio school bus for a family reunion or renting a fleet of coach buses for a corporate retreat, we’ll take care of your group ground transportation. What determines the price of a San Antonio charter bus rental? There are multiple determining factors that go into the cost of a bus rental. These include (but are not limited to) the date of departure, the total mileage, the time of year, the availability of buses in the San Antonia area, and your driver's time. To ensure that cost is manageable for all types of events, we've built strong relationships with bus companies and received preferred pricing for our event planners. Where do you get your San Antonia buses from? We will pair you with the bus operator who is closest to you and can accommodate your needs. Rest assured that every bus operator in our North America-wide network has been meticulously vetted by our staff. How do I rent a bus in San Antonio with a driver? Simply book your bus, and the driver the driver comes with it. Our quotes include the driver's tip and hotel, so you aren't hit with any unexpected expenses. What kind of bus rentals can I book in San Antonio? School buses, coach buses, and the mini versions of both are available to rent in San Antonio. Think about the needs of your trip—wifi, on-board bathrooms, A/C, etc.—and choose the bus that checks off the right boxes. How soon do I have to book my charter bus rental in San Antonio? We recommend chartering your bus as soon as possible. The availability of buses tends to decrease as the date of departure approaches, resulting in price increases. To avoid this, Bus.com offers Book Now, Pay Later, giving you the option to reserve right away then wait to pay until 21 days departure.